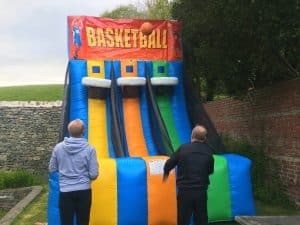 These giant Sports Inflatables are huge fun for all ages, whether it’s a Wedding, Party, Christening or other event. 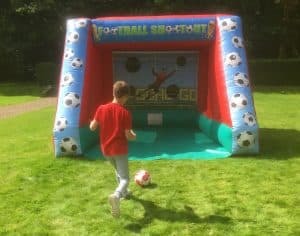 This bright and colourful inflatable is a brilliant sporting game that tests your accuracy and speed. Will you be able to get 3 out of 3? 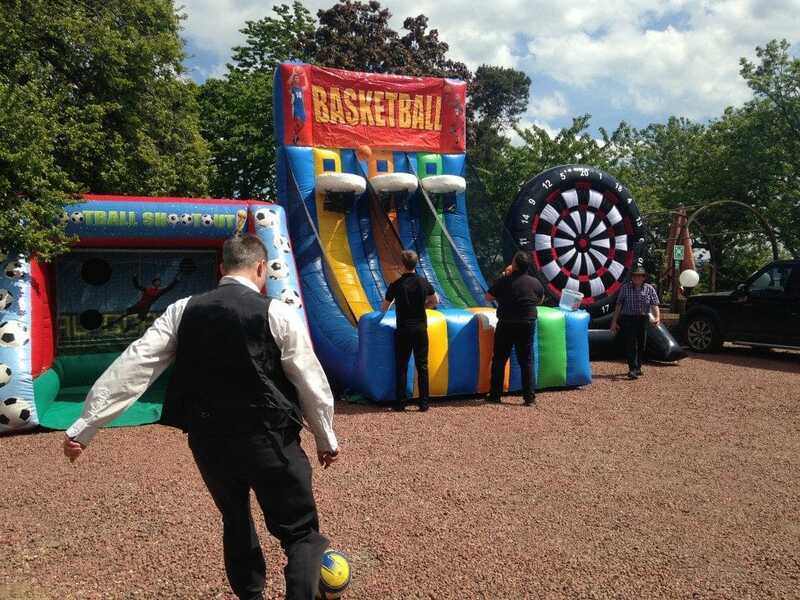 This game can be played by young and old and takes up minimal footprint space at your event. 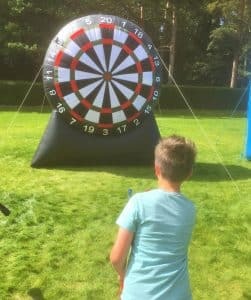 Big and Bold, the Giant Inflatable Dartboard offers a unique game that everyone can play. Throw the balls to land anywhere on the board. Presented with a member of staff to keep your scores for you, this offers this great game on a giant and safe scale. The Dartboard catches the eye and will certainly entertain your crowd! Test your accuracy against your friends. 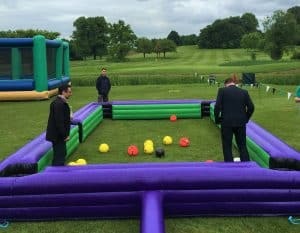 Can you beat the keeper and get the ball through the hole? A very addictive game. The aim of the game is to pot your coloured balls followed by the black before your opponent does. However, players must aim and kick only the white ball into their respective colours and hope for the coloured ball to go into the pocket.